If I had been among the ignorant, the second single released from the album might have put me off buying the album. “The First Day of Summer” wasn’t bad, although there are much better tracks on “Some Tough City,” it’s just in the video for the song, he tries too hard to act like Joe Cool Rock Singer and that was a bit off putting. 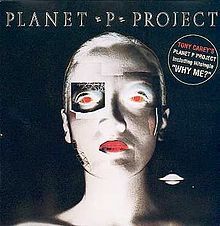 Now don’t get me wrong, Tony Carey has a good voice but he’s an even better musician as demonstrated on the album where he plays all the instruments. 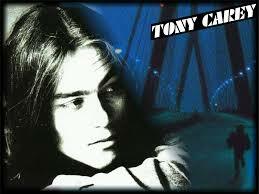 I know I have beaten the word ‘underrated’ to death on 80sMetalman but the term definitely applies to Tony. “A Fine Fine Day” is not typical of the album. It’s a great song and it won my 1984 award for best non metal song of the year but it’s more progressive rock and Tony definitely demonstrates his keyboard skills on it. Most of the rest of the album has more of a hard rock edge to it, even “The First Day of Summer.” However, some of the more rockier songs like, “Eddie Goes Underground” and “A Lonely Life” really cook on here. 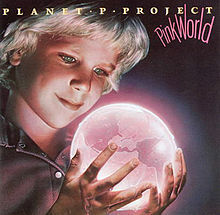 A real paradox on the album is “Reach Out,” where it starts out like it’s going to be some 80s synth pop song and then really explodes into a rocker. The big surprise on it is the fact that Tony hammers out a decent guitar solo on it. He does the same, actually his guitar work is even better on the more progressive rock sounding “Tinseltown.” Let’s face it, Tony Carey is a brilliant all round musician and his talent has been ignored for far too long. 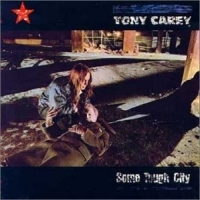 Now my mind is going off to strange worlds from posting about “Some Tough City” by Tony Carey. 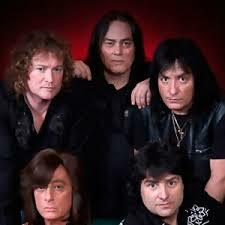 I wonder if he and Ronnie James Dio ever hooked up again after Rainbow. That would have been mind blowing. It wouldn’t have been possible in 1984 because Tony was riding a huge wave of success as a result of the album and its top ten single. As for Ronnie, that will be all explained in a future post.